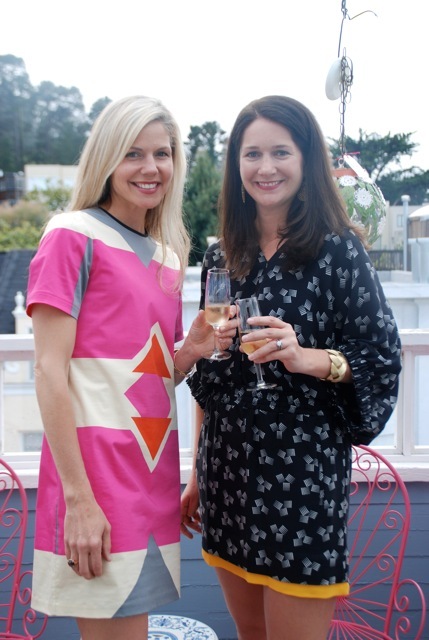 I recently had a chance to sit down with Jenny Moore and Mary Graf, the founders of LeCartSF.com. 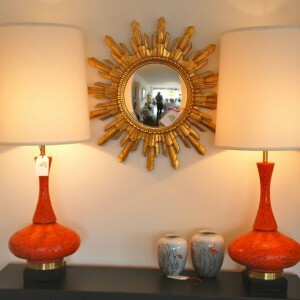 LeCartSF is one of our favorite websites for unique flea market finds and revamped vintage décor. Jenny and Mary comb flea markets, estate sales, and second hand shops for furniture and accessories that they think deserve a second life (sometimes with a little TLC in the form or new paint/finishing, reupholstering, and/or repurposing). Their results are gorgeous and sell out quickly. Jenny and Mary are not only business partners, but they have also been best friends since age 2, when then met at St. George’s Preschool in Nashville, Tennessee. Whoever said that friends should not do business together never met these two amazing women. They manage to juggle homes, children, the website, Jenny’s interior design business, and volunteer work, all the while keeping their sense of humor and friendship intact. There is no doubt that design is in their blood. Both remember appreciating it from a young age. As teenagers they were sponge-painting, rearranging their bedroom furniture, and tackling their college dorm rooms. 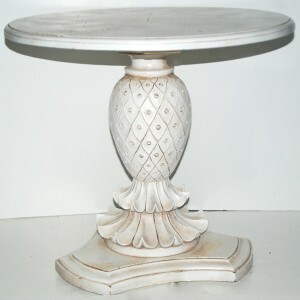 They have always been interested in repurposing items that may have been forgotten or were simply in need of some sprucing up. Long before launching LeCartSF, they were distressing beds and case goods, and adding trim to lampshades. Many of those pieces have stood the test of time and still remain in their homes. We are thrilled that Jenny and Mary could take time out of their jam-packed schedules to share their resources, inspiration, and future plans with us. What are your favorite resources for finding products for your site? We are always on the hunt. Locally, we find many things at the Alameda Flea Market, Treasure Island Market, Marin County Antique Faire, consignment stores, and Estate sales. We have traveled to the Rose Bowl flea market as well as flea markets in Mississippi, Tennessee and Florida. Currently we’re planning a summer inventory-buying road trip, but the itinerary is not yet set. Our dream is taking an inventory trip to Paris flea markets. We love it all! But we both have our niches. Jenny: I follow my favorite designers and fabric manufacturers on Instagram. I am inspired by beautiful fabric and I read a ton of print magazines including House Beautiful, Elle Décor, Traditional Home. My favorite designers are Ruthie Sommers, Celerie Kemball, Ashley Whitaker, Miles Redd (NY), though the list goes on. These days I feel like I am inspired by the “cozy” – I want to be able to sink into a room. Mary: I am a magazine reader – House Beautiful, Elle Décor, Town & Country, Architectural Digest and I read them in print (not online). I’m inspired by interior designers, but also by fashion – I follow Rachel Zoe, Olivia Palermo, and Aerin Lauder on Instagram. I love seeing things that are over the top, Miles Redd comes to mind, but I also love the traditional (i.e. Bunny Williams, Charlotte Moss). Is there anything about your childhoods that inspired you to follow this path? We both grew up in “girly,” southern homes. Mary: my mother loved beautiful antiques. They were gorgeous but fragile and not necessarily kid-friendly. I don’t think I appreciated the beauty then, but I do now. As mother to three small girls, I try to use beautiful antiques in a livable, modern way. Jenny: I also remember having a beautiful home growing up but I think the thing that influenced me the most having the freedom to explore with my design taste. At some point I was repainting our bathroom ONCE A WEEK. It was great to have the opportunity to experiment then. How did you get the idea for LeCartSF.com? After finishing design school Jenny was working in the field and we started talking about the idea. We always went to the Alameda flea market together and knew we had similar aesthetics. Originally the idea was to open a brick & mortar store – but we needed more manpower, more money, and really and truly we are moms we wanted more flexibility. So, we decided that a website was the way to go. We talked about it for over a year before launching and built the website ourselves. We launched in 2012. What is the most difficult part of running an on-line retail shop? For us, it is having enough time to put into the business consistently. There are never enough hours in the day and months fly by. Because we are also creating the product, we worry about staying relevant. How do you attract buyers to your site? Initially we received some great press. We also have been fortunate to hold successful shows (5 in the last two years) and rely a lot on word of mouth. Sometimes, we are not sure how people find us. We have had buyers from Ohio, New Jersey and Australia. One person told us they found the site through a Google search. Yes, we both LOVED a bench with roll arms and pretty cabriolets and gold on them. We reupholstered in a blue and white Schummacher chinoiserie fabric. It was gorgeous. If our readers can’t make it to the Edgewood Fair, how can they find you? If you want to see our most recent fun finds, Instagram is the best source. We try to keep the website up to date, but sometimes inventory sells off Instagram before it ever makes it on to the website. You can also follow us on Instagram and Facebook as lecartsf.